Highest UK chart positions are shown. Starting out as a trio, new wave electropop group Heaven 17 achieved the majority of their success during the early 1980s, with their first three studio albums all breaking into the British Top 20. The original line-up consisted of Martyn Ware and Ian Craig Marsh on keyboards with Glenn Gregory as lead vocalist. Ware and Marsh were originally with The Human League. Heaven 17 are now a duo as Marsh left the line-up during 2007. 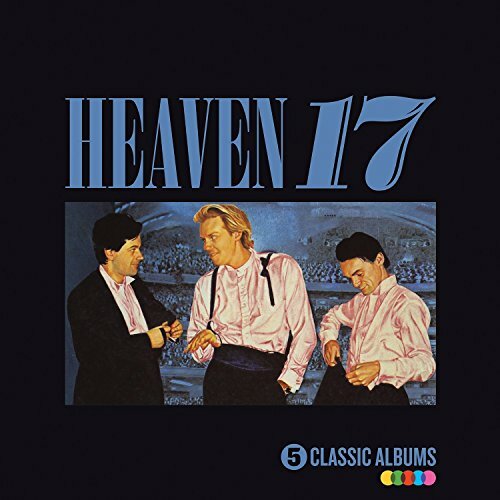 Heaven 17's debut studio album reached #14 in the UK, and despite the single releases failing to achieve chart success, the album still managed to sell over 100,000 copies. A combination of melodic electropop and left-wing political views may have aided its success. The single (We Don't Need This) Fascist Groove Thang was even banned by the BBC who had worries that it libeled the U.S. President Ronald Reagan. This certainly wasn't the first or last single to be banned by Aunty Beeb, and they have, so far, banned over 191 songs in total. 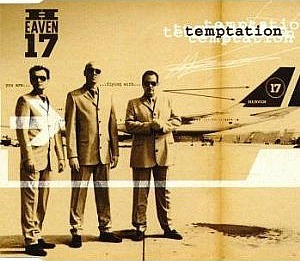 Released on 8th April 1983, the follow-up to Heaven 17's successful debut album, Penthouse And Pavement, became the most successful album, peaking at #4 in the UK album charts and achieving Platinum sales. Unlike the debut album, the singles charted highly, all breaking into the British Top 20, except for Let Me Go which peaked at #41. A 2 CD version with DVD was released during 2012 and the second CD included nine extended and remixed versions of the singles and other tracks on the album. 1983 was a year that was packed with superb songs, but this melodic synthpop tune is definitely up there with the best of them. 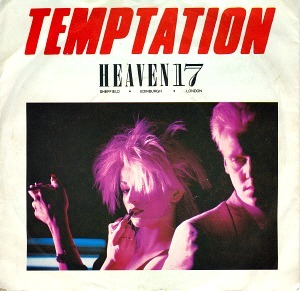 Temptation was the lead single from Heaven 17's second studio album The Luxury Gap, reaching #2 in the UK, #3 in Ireland and also becoming a moderate hit in some European countries. The band performed the song on the 1000th edition of Top Of The Pops shown on BBC1. 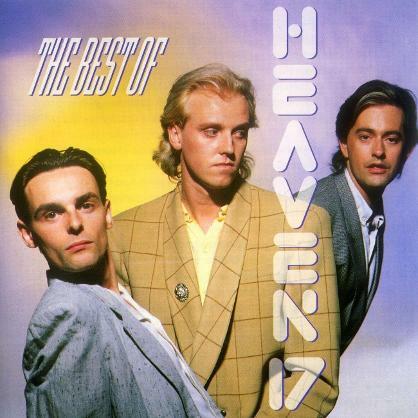 A remix of the single entitled Brothers In Rhythm Remix was released in 1992 to help promote the album Higher And Higher - The Best Of Heaven 17. It was a major hit, reaching #4 in the UK and #9 in Ireland. In 1998 a CD single was released to promote the compilation album Retox/Detox. Come Live With Me was Heaven 17's second and last Top Ten hit single of the 80s, peaking at #5 in the UK during the summer of 1983. 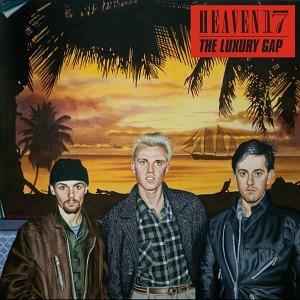 It was the follow-up to the band's biggest hit Temptation which, like Come Live With Me, was lifted from the album The Luxury Gap. The song spent 11 weeks on the UK singles chart and was written by all three band members Glenn Gregory (vocals), Ian Craig Marsh (keyboards and ex-Human League) and Martyn Ware (keyboards and ex-Human League). Although the English synthpop band formed in Sheffield during 1980, believe it or not, they didn't play live until 1997! The band are still performing today, but are now a duo without keyboard player Ian Craig Marsh. 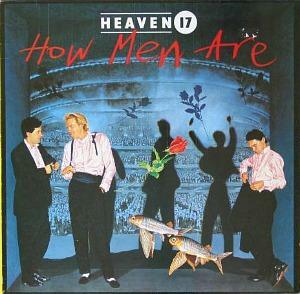 This was the first single to be lifted from Heaven 17's third studio album How Men Are. The song spent six weeks in the UK singles chart and peaked at #24. Two more singles were released from the album; This Is Mine (#23) and And That's No Lie which failed to break into the Top 40, peaking at #52. Sunset Now was written by all three band members; Glenn Gregory, Ian Craig Marsh and Martyn Ware. It was heavily criticised by several music magazines including NME and Sounds. Much of the criticism was about the direction the band were taking and their dull lyrics, particularly the lack of political angst as seen in previous songs such as (We Don't Need This) Fascist Groove Thing. 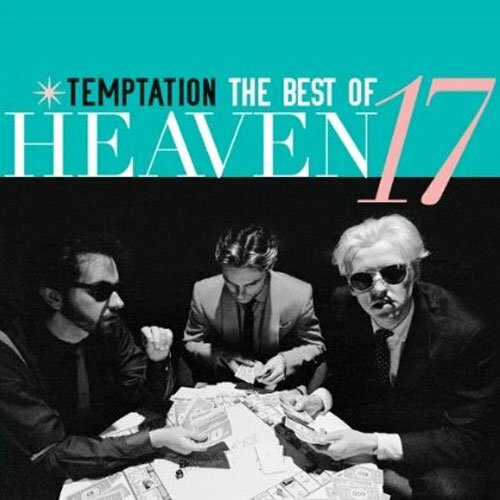 I must admit that this isn't one of my favourite songs by Heaven 17, and it does sound rather weak when compared to Temptation. But I'm sure many of you will beg to differ! The band's third studio album reached #12 in the UK charts, but was the last one to be commercially successful. Achieving Silver in sales (60,000 copies), the album did not feature the pure electronic sound of the previous releases, and also included acoustic guitars, orchestral arrangements and backing vocals by the duo Afrodiziak (Claudia Fontaine and Caron Wheeler - she went on to perform as lead singer with Soul II Soul). Human League (The) Don't You Want Me?